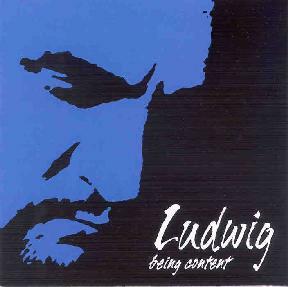 Ludwig Kramer - "Being Content"
Ludwig Kramer has his feet firmly in Krautrock history having been the original guitarist with Agitation Free, did a stint with Walpurgis, and more recently has collaborated with Manuel Göttsching. Being Content is a collection of Kramer's songs, and across these 12 tracks he displays a solid sense of melody having composed some catchy tunes that will stick in your head and refuse to go away. Many of the songs have a 60's folk-psych sensibility and the guitar work is tastefully impressive. Among the standout tracks is "Coffee Shop Blues", a folky psych rocker with a 60s feel. Definitely one of my favorite tracks. "Unreachable", "Faithful", "Fast Lane", "Reduced", and "Move Me" are the other tracks that have this folky psych feel and are also solid tracks. "Faithful" is another one of my favorite tracks. It's a simple pop-psych tune but the floating strumming guitars and vocals and catchy melody rooted themselves in my brain. Very nice song. The gorgeous multi-tracked acoustic guitars on "Reduced" make it another highlight. And "Move Me" is similar but with a bluesy rockin' edge to it that I enjoyed. The epic track on the disc is "2000 Years...? ", a 10-minute melodic instrumental with cosmic jamming guitars and keyboards that reminds me quite a bit of Pink Floyd circa Wish You Were Here. The music just floats along beautifully and I found myself wishing it would have continued on. "Flowting By" is a similar track with drifting spacey melodies made up of nice guitar and synth work. Though the album is mostly song-oriented, there's lots of good music backing the songs, and these two tracks in particular illustrate that the cosmic journeyman still lies within Ludwig's musical soul. For more information you can visit the Ludwig Kramer web site at: http://www.lutzludwig.de. It seems to be packed with information but it's all in German.